Orlando Improper Amputation Attorneys - Malik Law, P.A. When patients enter a hospital for surgery, patients trust the surgeon and staff to treat the complication that requires operation. When the incompetence of hospital staff causes a patient to have an improper amputation, it is a shocking example of malpractice. While improper amputations are rare, malpractice of this magnitude can be life altering. Experienced medical malpractice attorneys may be able to assist patients that have had improper amputations in recovering compensation for medical costs, lost wages, and pain and suffering. In some cases, a miscommunication between the referring physician and the surgeon is the cause of improper amputation. In other cases, the incompetence of a surgeon or surgical team may cause the wrong body part to be amputated. In rare cases, an amputation is performed because of life-threatening complications that occur during surgery. If an improper amputation is performed because of complications, the case may become more complicated than amputations that are a result of physician error. Proving negligence in the case of an improper amputation is similar to proving negligence in other cases. The patient must show that there was a doctor/patient relationship that implied a duty of care. The patient must then show how that duty of care was breached and how that breach caused harm. In the case of physician error, medical records denoting the condition that the patient entered surgery for and evidence showing the improper amputation that occurred during the surgery may help to prove negligence. When an improper amputation was performed due to life-threatening complications that occurred during the surgery, it may or may not be considered negligence. A deciding factor in these types of cases is the physician’s duty to inform. 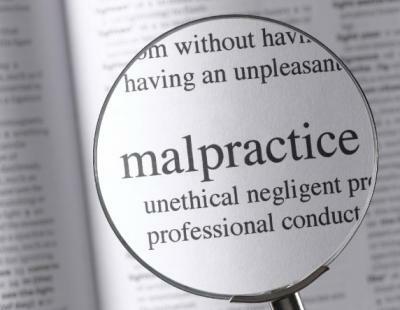 If the physician informed the patient of the possible risks inherent in the surgery, including the possible need to amputate, it may not be considered negligence. If the patient was not informed of these risks, it may be considered a breach of duty. Amputations have a risk of complications, including osteoporosis and osteoarthritis. Lower limb amputations may also cause back pain and other complications due to ill-fitting prosthetics. If complications arise from an improper amputation, the medical facility and the operating staff may be liable for all medical costs associated with those complications. When acts of gross negligence such as improper amputation occur, the hospital is typically held vicariously liable. Depending on the details of the case, the operating surgeon and referring physician may also be liable. If the actions of nurses or other hospital staff during the surgery contributed to the improper amputation, these parties may also be held accountable for negligence. Compensation for improper amputation may be more complicated than other types of medical malpractice cases. High quality prosthetic limbs may be much more expensive than lower quality prosthetics. Depending upon the circumstances of the case, a court may allow a patient to be compensated for higher quality prosthetics. The patient may also be compensated for future medical costs stemming from the improper amputation. Amputations often render patients unable to perform past job duties. An experienced medical malpractice attorney may be able to help a patient prove that the same wages cannot be achieved without the use of the body part that was amputated, if applicable. If this is the case, the hospital may be liable for covering the cost of the patient’s expected future wages. In some cases, family members of improper amputation victims may be able to collect damages for a loss of consortium. This depends upon the body part that was amputated and the details of the family relationship. The ability to collect damages for loss of consortium may vary between jurisdictions. You can tell the staff really care about you. Imran and John are top notch at what they do.. they really put in the work for you and Sindy is very professional and always available to answer your questions. Thank you guys for always looking out for my and my company’s best interests! I would like to thank everyone at the firm for doing such a wonderful job on my case. Malik Law has an excellent team to work with and I would highly recommend them to anyone. Imran goes above and beyond for his clients. The staff is very knowledgeable and courteous. I would and have recommended this firm. We were having a home insurance dispute and Malik was informative and helpful where we could deal with our claim. Fortunately the dispute was settled before we had to employ his services but the help he gave us was most appreciated. We leave no stone unturned, take no short cuts and if necessary litigate your matter to provide you with the best possible outcome. Call us today to schedule a confidential legal consultation with us regarding your legal issue.